Expo fatigue: We’ve all felt it. Expos and trade shows last all day, and you have to be on your feet and at your best at all times. Everyone you encounter has the potential to become a lead, so literally everyone you meet has to be showered with smiles, plaudits, and conversation. This can be exhausting. And some trade shows and expos last a number of days. You might struggle through to the end of your first day, only to realise that you’ll have to go through exactly the same process again tomorrow. And yet, you always see people at trade shows who appear to possess superhuman levels of stamina. All day they somehow manage to stand tall and grinning, dazzling and converting lead after lead after lead. At RAL Display, we’ve helped hundreds of businesses plan thousands of trade show and expo appearances. Through talking extensively with our clients, and through attending no small amount of shows ourselves, we’ve learned a thing or two about stamina. So if you want to know how to beat expo fatigue and be at your best all day, read on. There’s a number of reasons why it’s not the best idea to attempt a trade show or expo alone. But perhaps topping the list is the fact that doing these things alone is particularly tiring. Yet with a good team on your side, you’ll be able to take regular breaks, safe in the knowledge that there’ll always be somebody as loveable as you manning the stand and doing the rounds. So assemble a team you can trust and divide the day into shifts. That way, nobody will get burnout, and no leads will slip through your fingers. Trade shows and expos might offer fantastic opportunities to grow your business, but stressing and worrying will only wear you out. So as well as planning for regular breaks throughout the day, take some time to consider your target audience, your ideal lead, the specific products or services you wish to push, and the specific objectives you wish to achieve. Share your plans with everyone who’s attending the event. If everybody is aware of your business goals, then nobody will worry about underperforming or missing opportunities. Instead, they can focus all their energies on making this the best darn trade show the world has ever seen. And when no energy is wasted on worrying, expo fatigue will start to feel like the sort of thing that only happens to other people. So you’ve made your plan, and you’ve made time for everyone to enjoy a well-earned break. Now. How best to spend that blissful break? Eating and drinking is a good idea, one we’ll discuss in more detail below. But beyond that, you’re best bet is to spend your breaks clearing your head and stretching your legs. Take a nice leisurely stroll in the fresh air. Even if you have to resort to doing several laps of a car park, you’ll still feel refreshed and renewed once it’s your turn to hit the floor once more. On the morning of the trade show, eat the sort of breakfast that will give you a slow and sustainable release of energy throughout the day. This means avoiding those tempting sugary cereals, pancake stacks, and tasty, tasty muffins. Instead, go for porridge, wholemeal cereal, fresh fruit, or eggs. As for fluids, you’ll need plenty of those. Dehydration will leave you feeling drained, so drink plenty of water throughout the day, making sure to bring enough bottled water to see everyone through the whole expo. And believe it or not, the way you stand and conduct yourself can make a huge difference to the way you feel. Slump, frown, and murmur, and you’ll likely feel more tired than you actually are. But if you stand up straight, smile, and speak with clear authority, you’ll not only appear more professional, you’ll feel more professional, too. There’s a very good reason for this: When you slump and slouch, you put your spine out of alignment. And the more out of alignment your spine is, the more work your muscles have to do to compensate. So stand up straight, and you’ll conserve energy without even realising it, while simultaneously stunning your leads with your devastating deportment. 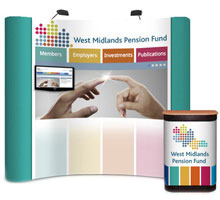 The quality of your stand can make or break any trade show. And we should know – we design them. It’s what we do! 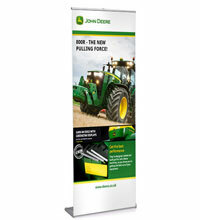 A well-designed exhibition stand won’t just help you to win over your leads. It can also be your secret weapon in your fight against expo fatigue. 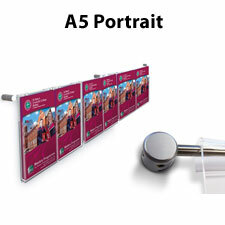 An engaging, eye-catching exhibition stand will appeal to your customers, yes. But it will also appeal to you. Think about it – where would you rather spend your day? Dying on your feet in front of dull and uninspired corporate greys and blues? Or engaging with fascinating people while surrounded by vibrant colours in a stirring multimedia environment? When designing your stand, another good idea is to incorporate a seating area. Not only will this give you somewhere to take your leads for a friendly chat, it’ll also give you and your team somewhere to sit and recuperate during your downtime. If you’d like some more advice on beating fatigue and making your expos and trade shows a success, why not give us a call? We’ve been doing this sort of thing for years, and oh my, have we got some stories to tell!